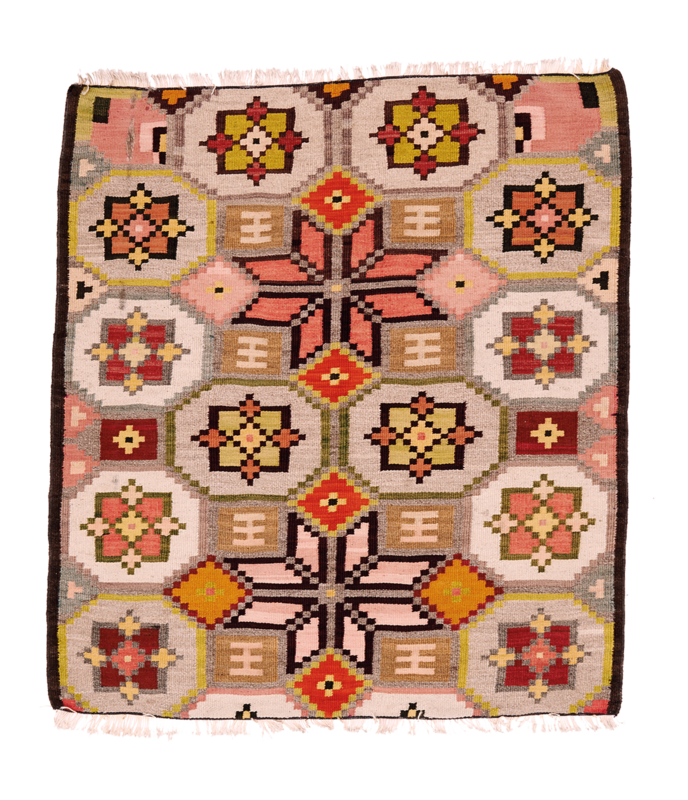 This delightful kilim is a fragment of its former size. Both selvage ends are new. An old spot on the reverse side is visible through the top left front, but this does not affect the piece. The wool is shiny and the colors are brilliant and sharp: bright pink, orange, lemon green on a delicate soft gray and beige base. Wear consistent with age and use.